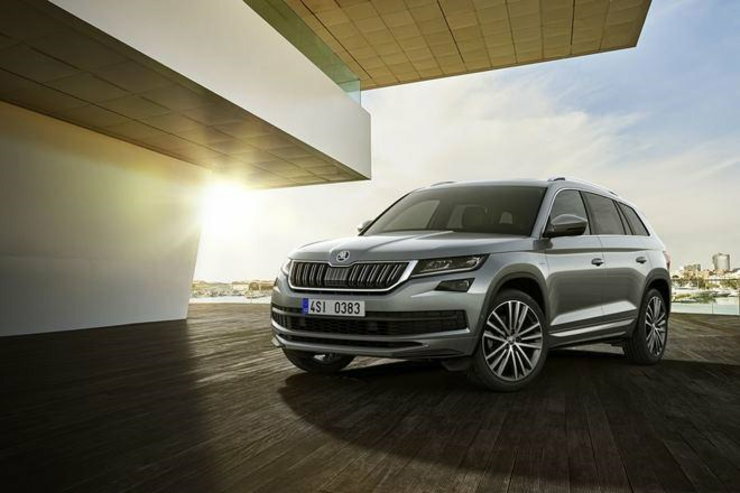 Skoda has launched a new top end variant of their flagship SUV, the Kodiaq. Dubbed the Laurin & Klement or just L&K, the new variant has been priced at Rs. 35.99 lakh (Ex-showroom, India). The L&K badge in Skoda language signifies special features and more luxury than the regular models. Therefore, the Kodiaq now comes more feature laden than ever. And of course, the Kodiaq L&K is meant to be a more luxurious alternative to the best-selling Toyota Fortuner. For those who might be wondering upon the nomenclature, Laurin & Klement (named after founders) was a Czech automobile company bought by Skoda Works in 1925. It was then rebranded as Skoda Auto and hence the journey of Skoda as an automobile manufacturer began. Skoda now uses the L&K tag to distinguish luxurious editions of some of their models. Coming to the car, aesthetic changes include an updated chrome grille, tweaked LED headlights and the signature 18-inch trinity alloy wheels. The rear sees less changes with C-shape LED taillights, and new chrome element bordering the exhaust pipes and the diffuser. Then come the new roof rails done in silver along with Laurin & Klement badge on the front wings. The Kodiak L&K will come in five colour options, which are – Lava Blue, Quartz Grey, Moon White, Magic Black, and a new Magnetic Brown shade. 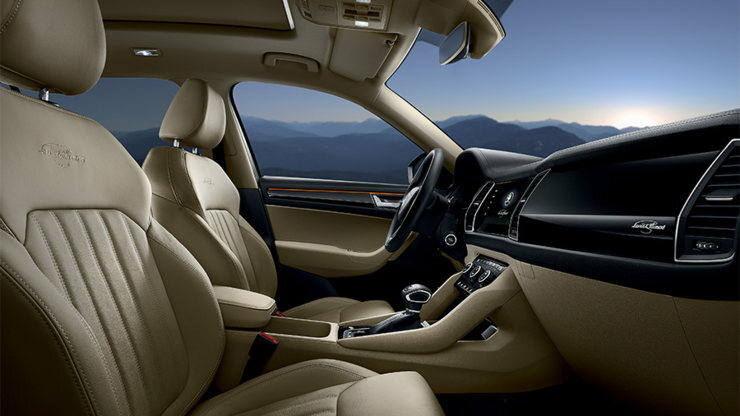 Coming to the interiors, the first thing to catch the eye is the darker shade of the dashboard. There is a piano black finish complete with Laurin & Klement badges on several places. New features include a 360-degree camera, hands-free parking, and Virtual Cockpit. The virtual cockpit is actually a customizable digital instrument panel with all important driving and navigation data at one place. The mid section dashboard is dominated by an 8-inch capacitive touch display with SmartLink+ that offers SmartGate, Apple CarPlay, and Android Auto connectivity. Also, there’s a Laurin & Klement welcome message on the infotainment system upon initializing. All these features make the Kodiaq more feature-rich than the Toyota Fortuner. The Skoda Kodiaq L&K gets powered by the same 2.0 TDI diesel engine that generates 148 Bhp of power and develops 340 Nm of torque. The engine comes mated to an automatic DSG gearbox. The drivetrain is an all-wheel-drive system with electronic control. These numbers make the Kodiaq less powerful than the Toyota Fortuner, but it’s lighter as well. 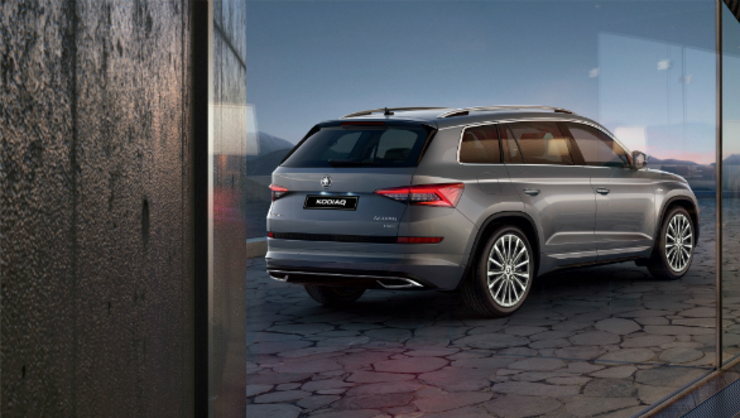 The Kodiaq Laurin & Klement also is well endowed in terms of safety features which include best-in-segment nine airbags, AFS (Adaptive Front light System), ABS (Anti-lock Braking System), ESC (Electronic Stability Control), EBD (Electronic Brake-force Distribution), MBA (Mechanical Brake Assist), MKB (Multi Collision Brake), HBA (Hydraulic Brake Assist), ASR (Anti Slip Regulation), and EDS (Electronic Differential Lock). « Mahindra Thar: Real reasons why people still buy it!